Nails of the day and a new nail shape!!! Hi there everyone! I bought a couple of polishes from Live Love Polish about a week ago, and am just now getting around to wearing them. I also decided to change up my nail shape! I have on Cupcake Metomorphosis today and oh boy is it a stunner!!!! Take a gander at the pictures and let me know what you think! What do you think? It’s pretty stunning isn’t it? I’m still getting used to my new nail shape… But it’s a lot easier to maintain! Thanks for reading today and talk to you all soon! This entry was posted in Beauty, Nail polish Swatches and tagged beauty, Indie, makeup, Manicure, nails. Bookmark the permalink. 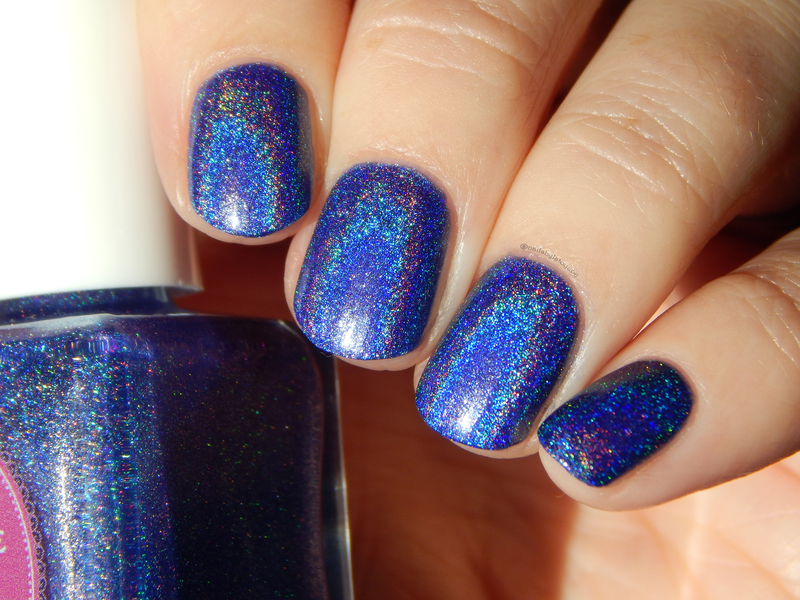 This is such a pretty polish! And I LOVE your new nail shape – it looks very elegant on you.